Calls made from pay phones and phone booths create their own mode of communication. It’s a mode that revolves around urgent contact, finite contact, emergency contact, ubiquitous contact, democratic contact—the phone booth could provide asylum to anyone, be he ne’er so vile. It’s a mode that wears its heart on its sleeve, so many public phones being etched with the tragedies of their users that their tragedies become shared tragedies. It’s a mode that offers the promise of privacy and the possibility of anonymity. It’s a paranoid mode. It’s a mode, once upon a time, that seemed more our speed. It’s a mode that is in motion and also a pause in motion. 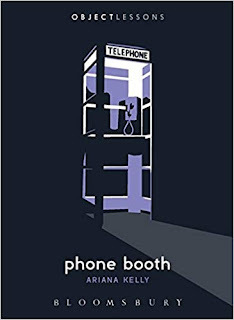 As Holden Caulfield wanders through New York City, delaying his arrival home after being kicked out of prep school, he is constantly entering and exiting phone booths, never quite knowing what he wants to say when he gets someone on the line, and often just sitting, as if phone booths are places to simply be, as much as they are places from which to call.